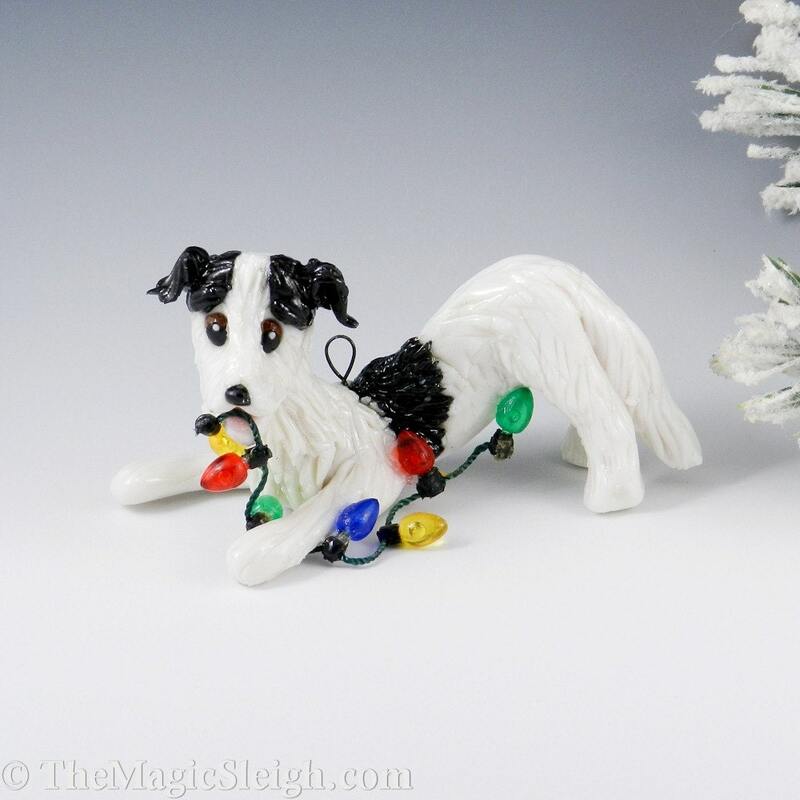 Borzoi Christmas Ornament playing with a strand of colorful Christmas lights (lights do not light up). * * Approx. 1 1/2" high x 3" long. No Molds or castings are used. 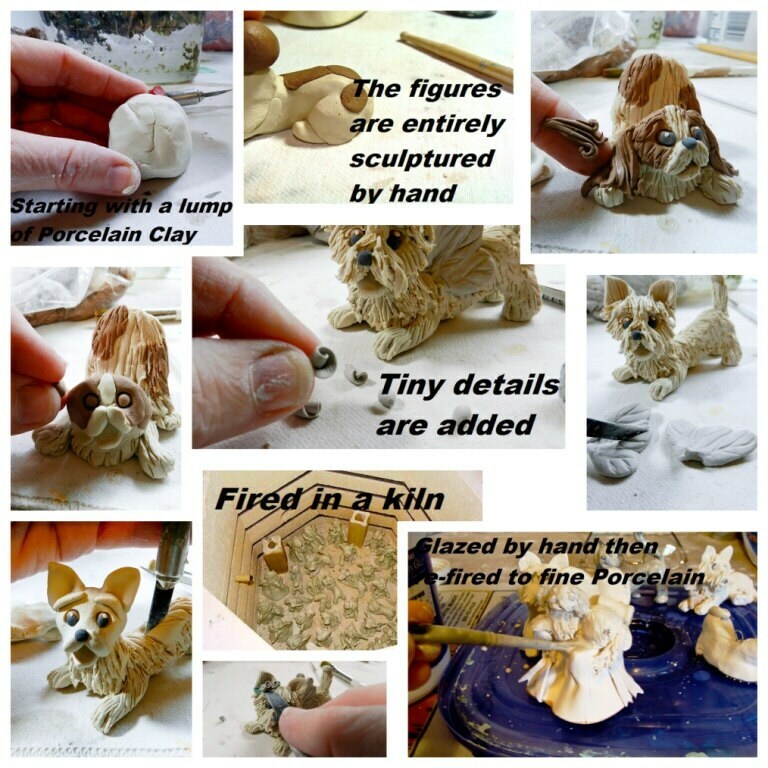 Working in Porcelain full time is what I do and I've been doing for over 20 years. All of my work is designed, hand formed, glazed and fired by me in my home studio.